Thanks to the loser point, the NHL playoff races are closer than ever. With only a couple of points separating 7th-11th in both conferences and the #3 seeds no locks to make the postseason, the last few games of the season will be closely watched as bubble teams either float on or burst. It will be an exciting stretch run and we'll take a look at what teams will need to do to keep their season going coming mid-April using advanced mathematics and algebraic graft theory (just kidding). In the East the Ottawa Senators are making things pretty interesting by hitting the skids and opening the door to the playoffs a bit wider for those teams looking in. When it looked like last week it was coming down to just Buffalo and Washington fighting for the 8th spot, the Senators could now be passed by both Buffalo and Washington (Maple Leafs fans are cheering for this) and miss the playoffs. The Cats are still holding on to the Central Division lead with a 3 point spread over the Capitals and one less game played. The Panthers need to avoid tying the Caps in points because their Regulation or Overtime Wins will lose them the tiebreaker. The good news for the Panthers? Their next 3 games are against MTL, MIN, and CBJ - all teams in the Lottery right now so those are must win games. The bad news for the cats? Their final four games are against DET, WPG, WAS, and CAR. With Detroit at home, Winnipeg still in the hunt, the Canes playing well, and the Caps chasing them for the division, their final games will be really interesting to watch, especially that Panthers-Capitals showdown that could decide the Southeast Division. Unless this team really shits the bed during their next 7 games, the Panthers will be playing in the playoffs for the first time since 2000, when they were swept by the New Jersey Devils. The Senators have struggled the last few weeks and now find their playoff cushion a little smaller. With low expectations to begin the season, the Sens have played consistently enough to find themselves 4 points up on the 8th place Capitals/Sabres with 5 games remaining. Games against Philly, Boston and Jersey will be interesting as they could be potential first round matchups, but games against the Islanders and Hurricanes are must win if they want to fend off the surging Capitals and Sabres. If the Sens manage to fall out of the playoff race, there will be only one Canadian team in the post-season this year - the Vancouver Canucks. Ovechkin has been on fire and is the main reason this team is still sitting in a playoff spot. Tied for 8th, but ahead in the standings because they have more wins, the Caps will have some must-win games ahead of them against Buffalo and Florida, and will play some challenging teams in Boston and the conference leading New York Rangers. Montreal and Tampa will look to play spoiler, but with Ovie on his game (thanks to Sidney Crosby's return), and Nicklas Backstrom potentially returning, the Caps could salvage their season and make some noise in the playoffs. The Sabres were the joke of the league just a few months ago with some brutal free agent signings and a team that was near the bottom of the East. There was even talks of dealing Ryan Millar and blowing this team up. Now they are tied for the 8th spot and are one of the hottest teams in the league thanks to a 13-2-4 run since February 17th. They'll have a big game tonight against the Caps, before games against the Pens, a back-to-back with the Leafs, the Flyers, and finishing the season against the Bruins. 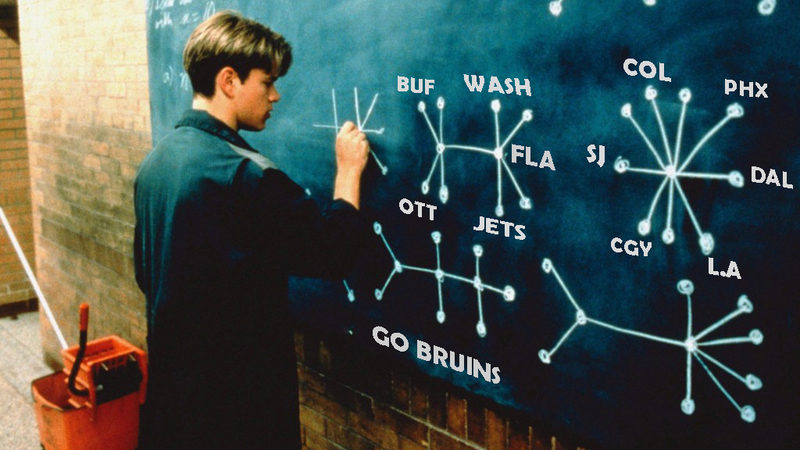 Those are some tough games to finish the season with, but the way the Sabres are playing anything is possible. Great season, great fans, but the Jets are in a bit of a hole here. Sitting 6 points out with 6 games left, they need to finish the season with a perfect record to compete for the 8th seed. Luckily, 5 of those games are against Southeast division opponents in which they have a 12-6-2 record against this season. The Jets really showed they can compete this season and who doesn't love their crowd, but we don't see them relocating up the standings and into the playoffs. I initially did not bother to include the Lightning in this post, but with 7 games remaining and 7 points out of the playoffs, they still have a chance despite their hot and cold goaltending. Their riding a 3 game winning streak into Boston tonight, and could gain some momentum before games against Jersey, Winnipeg, Washington, Montreal, Toronto and Winnipeg again. Sure it's a stretch, but that schedule isn't the most daunting and Tampa could make things interesting by going hot. The West is wild and it should be an exciting last two weeks of the season with many teams in the mix. Six teams fighting for three playoff spots and only a few points separating them, this is a great time to have NHL Centre Ice. The Stars are in a tight race for the Pacific division lead with 87 points and have one of the toughest schedules to finish their season after a warmup game against the Oilers on Thursday. 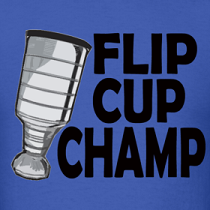 Their final five include: Vancouver, a back-to-back with San Jose, Nashville and the league leading St. Louis Blues. Needless to say, that home and home with San Jose is massive and with 4 other competing for that Pacific Division lead, the Stars will need to stay consistent if they want to see the playoffs in April. The 'Yotes have surprised many this year, but it's time to separate the pretenders from the contenders and their final five games will do just that. A crucial game with San Jose could shake up the standings, but with two games against Lottery teams the Coyotes should pick up some points in this stretch and create some pretty interesting scenarios. Unfortunately, they could find themselves a victim of the Regulation or Overtime Wins playoff tiebreaker. Underachievers all season with a brutal lack of goal scoring despite having some great offensive players, the Kings are in an excellent position to make the playoffs with their remaining games. With three games against Lottery teams, and wrapping up the season with a back-to-back against San Jose, the Kings could soar from 8th to 3rd pretty easily these next few weeks if their payroll earns their paycheques. Many are surprised that the Sharks have not locked up a playoff position with 6 games left, but talent doesn't always mean wins. While they currently hold the Pacific Division lead, that all could change with their final five games against the 3 teams battling for that title. With a game in Phoenix before back-to-backs with Dallas and LA, the Sharks have the best opportunity to decide their fate on the ice of all the teams competing. It's going to be one hell of a finish. The Flames have been inconsistent all season, but still find themselves with 85 points and 1 point out of the Western Conference playoffs with 5 games remaining. With key games against the Kings and Avs before a back-to-back against the Canucks, Calgary will need to stay consistent and fight for their playoff lives. Like most teams, a big game against Anaheim on the final day of the season could push the Flames into the playoffs for the first time since 2009. 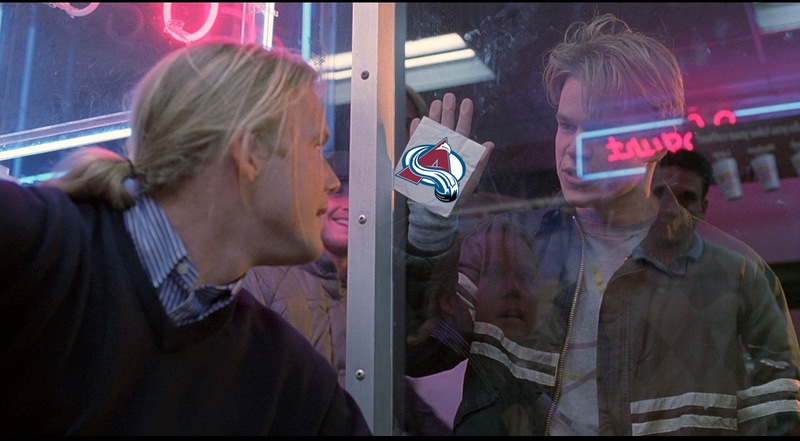 It's amazing the Avs are still in the playoff hunt, but they have definitely earned it. With 4 games remaining against Vancouver, Calgary, Columbus and Nashville they will have to grind out some points as they have the fewest games remaining of those teams hunting for the final Western playoff spots. While their chances are looking slimmer these days, the Avs have proved many wrong this season and have a bright spot in Calder candidate, Gabriel Landeskog, leading their playoff push. "How do you like them apples???" Really wanted to see the Jets in the playoffs this year.